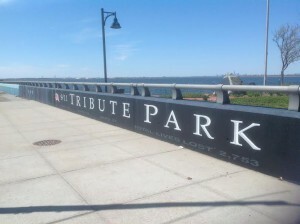 The 9/11 Tribute Park is located on the corner of Beach 116th Street and Beach Channel Drive in Belle Harbor, Far Rockaway Peninsula, Queens. 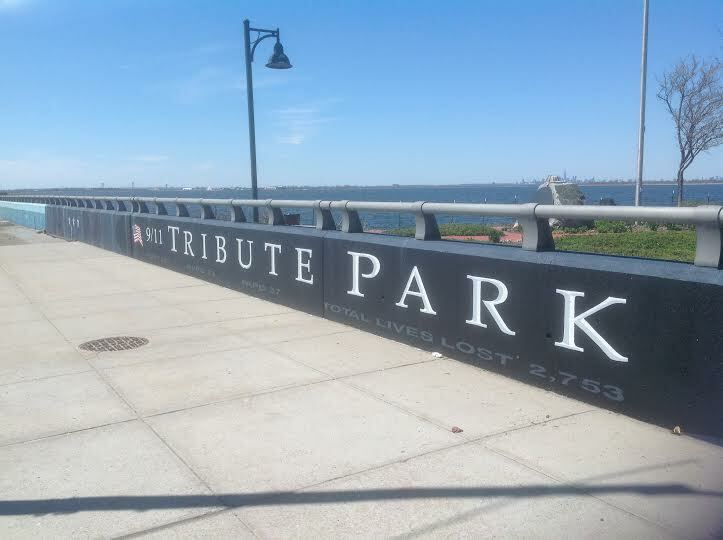 The park and monuments is dedicated to the 70 residents of Rockaway Park, as well as the 343 firefighters who died on September 11, 2001. The gazebo was designed by artist Patrick Clark. 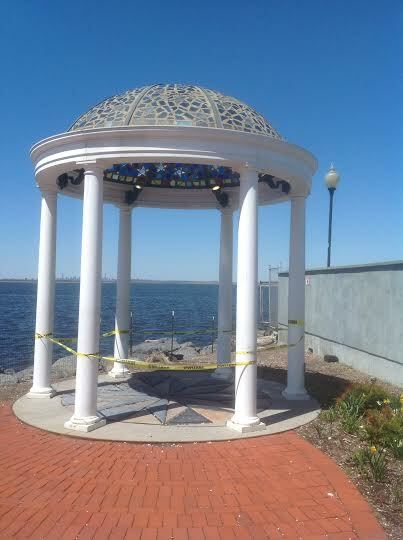 The roof of the gazebo is covered with stained glass which has the names inscribed names of 70 Rockaway Park residents that were killed on that day. The 343 memorial sculpture was designed by Russian sculptor Isabella Slobodov, and completed by Patrick Clark. It was a sunny, clear day in spring when I visited the 9/11 Tribute Park. There is a great view of lower Manhattan. Sitting on one of the benches in the park, it is a very relaxing and calm place to be. I thought of the anguish residents of Belle Harbor must have experienced to stand on this very site and witness the horrific tragedy that unfolded on September 11, 2001. As I reflect about this memorial, I come away feeling how closely net this community was before this tragedy and how much stronger it became afterwards.